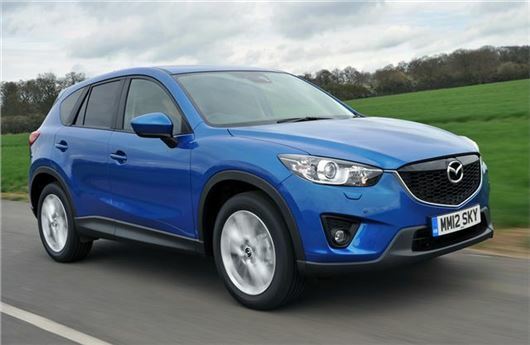 UK Car Discount has the following deals on Mazda CX-5 cars. All vehicles come with full manufacturers warranty and free delivery in mainland UK, and you will be the first registered keeper. You only pay for the car after you have inspected it and are totally happy. Mazda CX-5 SE-L models feature 17" Alloy wheels, Smart City Brake support, front & rear parking sensors, integrated Bluetooth, 5.8" screen colour screen, Ipod integration and privacy glass. Mazda CX-5 SE-L Lux models add leather trim, power sunroof, heated front seats and power driver's seat adjust. *Nav models add integrated TomTom sat nav. Mazda CX-5 Sport models feature 19” alloy wheels, premium Bose 9 speaker sound system, reversing camera, smart keyless entry, rear privacy glass and integrated TomTom sat nav. For more Mazda deals visit the UK Car Discount website at www.uk-car-discount.co.uk.